Running a site like Truthfall is costly. As well as hosting and domain costs it takes a lot of time and effort to research and present many of the articles. There are many different ways you can help support us. 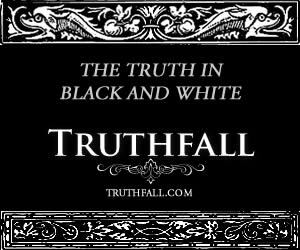 Please consider buying Truthfall t-shirts and other merchandise for yourself or friends and family. As well as showing everyone that you are “awake” to the truth, be assured that every item purchased helps us directly to bring you more articles and stories. If you buy books, please consider using the banner below to buy your books from Book Depository. You’ll pay the same price as you would going directly to the Book Depository site, and you will receive your books with FREE worldwide delivery. You will also be helping us directly generate an affiliate income. For every book you purchase we will get a percentage of the sale. We gratefully accept Paypal donations. Please consider donating whatever you can. Small amounts are just as welcome. Use the link below to make a donation. 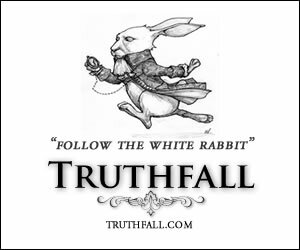 Use the banners below on your own blog or website and help more readers discover Truthfall. "I liked a @YouTube video from @truthfall http://t.co/C4FPQEKCdZ SIRIUS Movie Absolute Proof Alien DNA - Harvard Scientist"
"Absolute Proof Alien DNA - Harvard Scientist: http://t.co/C4FPQEKCdZ via @YouTube"
"Mysterious Booms Are Back http://t.co/LJoshhLA #All-Posts #UnexplainedPhenomena #Weird"
"Area 51 - BBC Film Crew Arrested At... http://t.co/OuTDVfaX #All-Posts #Conspiracies #GovernmentSecrecy #SecretBases #SecretFacilities #UFOs"
Droni Alieni: Linda Moulton scopre i segreti della tecnologia UFO | Non Siamo Soli on EXCLUSIVE: Dragonfly Drone Witness, MUFON & Isaac – Real Prometheus Connection?